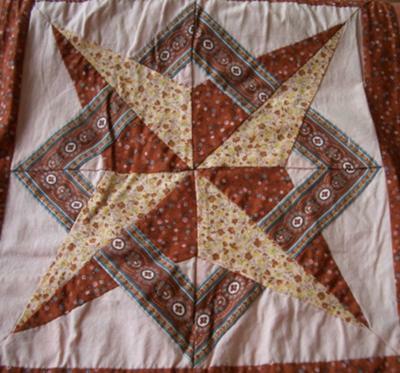 I have a photo of a star quilt block that I would love to identify. I've tried searching for "Star" blocks, but nothing comes up that looks like my "Star" pattern. The fabric in my photo looks 80's, so it's not a new pattern. Any help would be appreciated. I'd like to make this block. I believe it's important to properly attribute original work to it's source and designer. 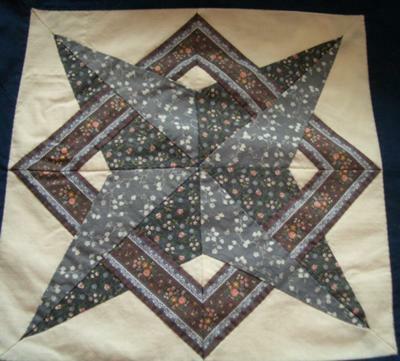 I am happy to let you know that I have received confirmation that this quilt block is, indeed, 'Charleston Quilt' designed by Judy Martin © 1990, from her book Scraps, Blocks and Quilts: Patterns and Techniques (Judy Martin's ultimate series) . Used with permission. 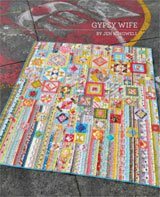 I am a huge fan of Judy's and enthusiastically own and recommend two of her most recent books, Judy Martin's Log Cabin Quilt Book and Stellar Quilts . Wonderfully written patterns and sources for inspiration! 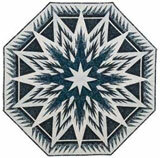 I've found two star quilt block patterns that are close relatives of this block. The first is in the book "5500 Quilt Block Designs" by Maggie Malone on page 123. 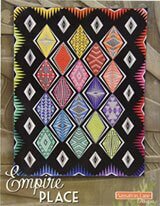 Block 1642 is named "Starbound", an original block design by Judy Martin, ©1987, first published in Quiltmaker and then republished in Quilter's Newsletter in 1990. 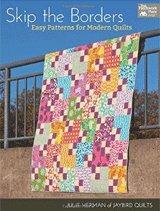 I found another variation of this block in Jinny Beyer's "The Quilter's Album of Patchwork Patterns" on page 160. Notice that in both blocks above, all the points touch the outside edges of the block. However, in the pictures you've provided, only the points of the square touch the outside edges. The star points do not. 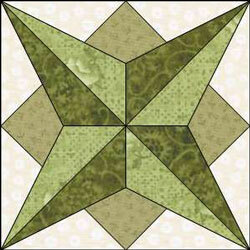 I have posted paper piecing patterns for both an 8" and 12" version of this block - Click here. Thank you for your question. I hope this helps...if you need a size other than 8 inches, do let me know through the 'comment' link just below. Why isn't there a picture to go along with the instructions? I don't always make a block right away so I need the picture for future reference and as a guide to what the block will look like when I do make it. From the Editor: Hi Judy. The link to the paper piecing patterns is further down on the page. 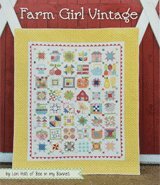 It will take you to a pinnable image of the block, the instructions and the free paper piecing pattern in two sizes to download and print. Thank you for posting this pattern. I was searching for a star pattern and found yours. I'm going to give it a try this weekend. From the Editor: I'm glad you like it! This block can also be found in SCRAPS, BLOCKS, & QUILTS by Judy Martin (1990 Crosley-Griffith). Charleston Quilt is like the one you have at the top. There are several nice variations of this as well (p 50). Baker Street Puzzle (p.58) adds a pinwheel star to the center. I've looked all over this page and cannot find the pattern that is referred to. I'd love to make this quilt but I can't do it without directions. I'm not the kind of person who can just look at things and make them. I need a pattern. 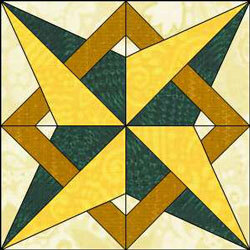 I would love to have a copy of the Nell's Star block pattern and directions. Do you have it in 12"? If so, I would like it in both 8 and 12 inches. 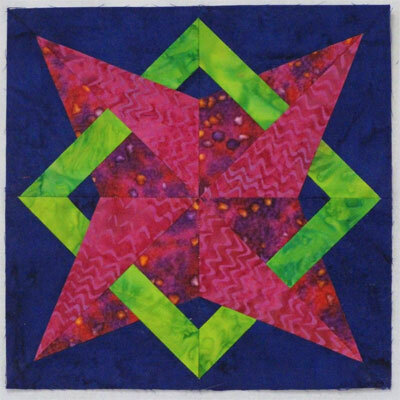 Nell's Star Quilt Block. I hope you enjoy them! Thank you for finding my "star" and drafting a pattern for me. I'm so honored to have a star named for me.